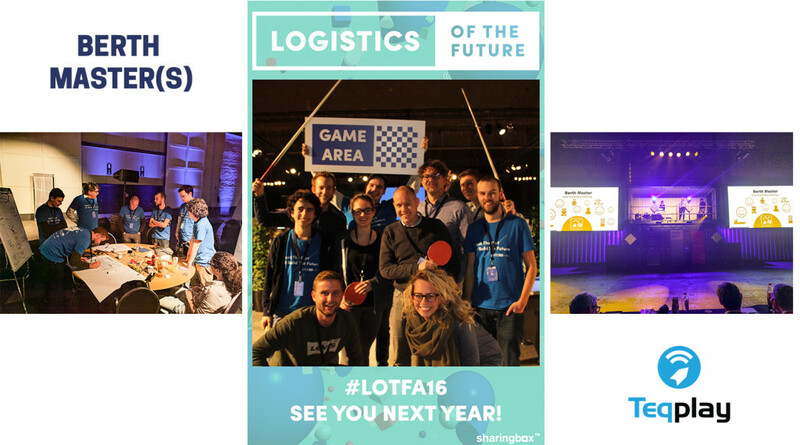 Last weekend we went to the Logistics of the future Antwerp (LOTFA) Hackathon. Team Teqplay, a mixed team of 9 people with front-end, back-end, design and business skills. The kick-off was on Friday where the challenges were presented to the audience. We chose to h#ck the challenge about Berth Management in de port of Antwerp. In short, barges moor everywhere, anytime. This causes problems when a sea-vessel arrives and the barge is moored on the spot of this sea-vessel. After a first brainstorm we soon came to the conclusion that the problem occurs because the inland skipper simply does not have the information and is not informed about the arriving sea-going vessels. After a weekend of hard work, a lot of fun with the team and several conversations with port experts, we proudly present Berth Master to you! 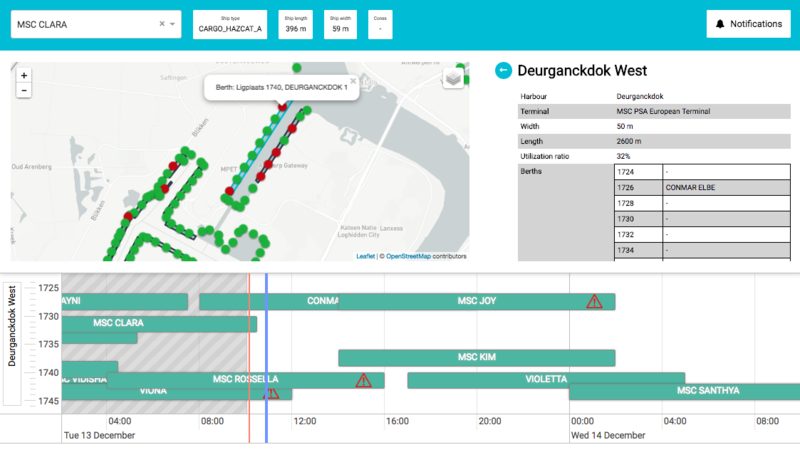 Berth Master is a platform where real-time vessel information, data about the infrastructure and the schedules of sea-vessels from the port of Antwerp are combined into a dashboard and mobile application. We started with a sketch of the different components. Berth Master monitors when a vessels docks at a certain berth and alerts when a possible conflict is detected. By clicking on each dock you can see the real-time berth occupation, and the schedules of the sea-vessels at a berth. As a user of Berth Master, you can easily add notifications concerning that specific berth. This way stakeholders are being notified of last-minute changes and updates. Berth Master made it to the finals! We pitched our solution in front of the jury. At the end of the day, we didn’t win the first prize, but had a great time in Antwerp!